I am so sorry it’s been a long time since I last posted. As I had mentioned my husband had been deployed since October. He is now back home and so my baking is as of now, back in full swing! If you celebrate Valentine’s Day, I hope you had a wonderful day/evening. It was awesome to have my husband back home so that we could celebrate. We went to Waikiki and had a nice dinner and walked around. 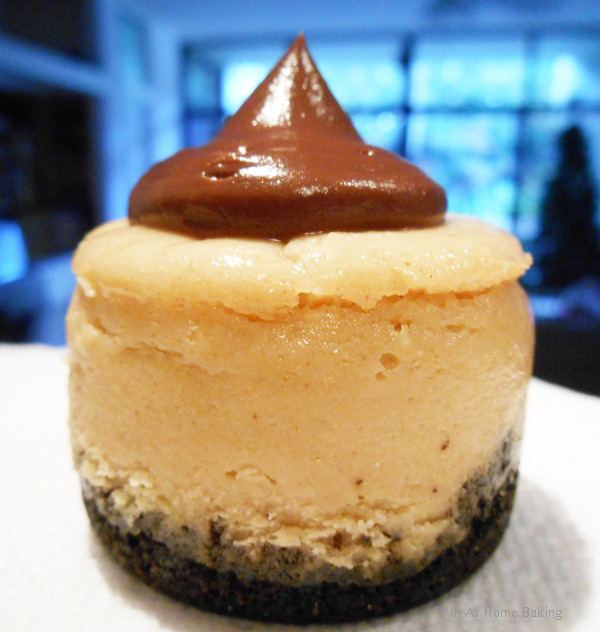 Let’s talk about these cute, delicious and hard to resist mini peanut butter cheesecakes! Yesterday, the 16th is a special day for my husband and I. 14 years ago on this day, he proposed to me! We were going out for breakfast to a local hotspot, and I was going to be making a special dinner so a delicious dessert was in order. I love cheesecake, especially mini ones. 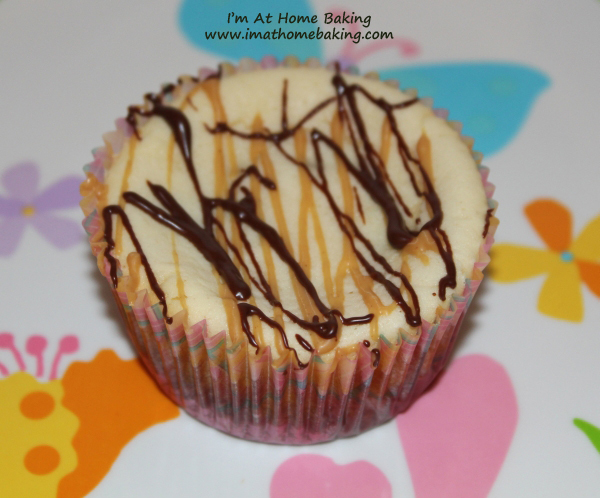 This recipe is wonderful, the cheesecakes come out very creamy and peanut buttery. The Oreo cookie crust just perfect. The only thing I would say I would personally change the next time I make them, is the ganache., only because it is very bitter, my husband and I both agreed a sweeter ganache would have been more pleasant on the taste buds. Other than the ganache, which you could just omit completely, these ARE that good, and you could just make a different ganache, these pretties are a perfect dessert or anytime snack. I only made 12 in a mini cheesecake pan. If you use a mini muffin tin you will yield 24. I did have left over batter but did not use it as I only wanted to make 12. Preheat the oven to 350˚ F. Lightly spry your mini cheesecake pan or Lightly spray a 24-well mini muffin pan with cooking spray. To make the crust, combine the chocolate cookie crumbs, melted butter and sugar in a small bowl. Mix with a fork until evenly blended. Divide the crust mixture between the wells of the prepared pan, about 1 tablespoon if using a mini cheesecake pan. If making in mini muffin tin 2-3 teaspoons in each. Press the crumb mixture into a flat layer on the bottom of the well. Bake for 10 minutes. Transfer the pan to a wire rack. Reduce the oven temperature to 300˚ F. To prepare the filling, combine the cream cheese, sour cream and peanut butter in the bowl of an electric mixer. Beat on medium-high speed until smooth and well blended. Add in the sugar and mix until incorporated, about 1 minute more, scraping down the sides of the bowl as needed. Blend in the egg and egg yolk, vanilla and salt. Continue to beat until the mixture is completely smooth. Divide the mixture evenly over the cookie crumb crusts and smooth the tops slightly. Bake just until set, about 15-22 minutes. Transfer to a wire rack and let cool to room temperature. Once completely cool, transfer the pan to the refrigerator and chill thoroughly, at least 3 hours. Once the cheesecakes are well chilled, carefully remove them from the pan. To make the ganache, place the chopped chocolate in a medium bowl. In a small saucepan, bring the cream to a simmer over medium heat. Once simmering, remove from the heat and immediately pour over the chocolate. Let stand 1-2 minutes. Whisk in small circular motions until a smooth ganache has formed. Whisk in the butter until completely incorporated. Let the mixture stand at room temperature until slightly thickened for piping onto the cheesecakes. (Speed this process in the refrigerator or freezer, but be sure to whisk every 10 minutes or so.) Once the ganache has thickened, transfer to a pastry bag fitted with a decorative tip and pipe onto the cheesecakes. Cover and refrigerate until the ganache is set. If you have left over ganache or don't want to put the ganache on right away, you can put it in the fridge, when you want to use, take it out and let it sit for about 1 hour, till it comes to room temperature. Are you as excited for time moving by as fast as I am? Haha! I am sorry I did not get to post as many recipes as I had wanted to in January but things happened and it’s a new month! We finally caught up to our annual snowfall then something odd happened, it rained! It poured, while there were inches of snow all over. Made for a lot of fun driving and walking the next day. See it is February, are you on the hunt for some delicious Valentines Day sweet treats? I will be making some this month, don’t have it fully planned out yet but I am looking forward to it. There is nothing like lemon & blueberries in the winter to make you long for spring and summer! Really, I love and enjoy the winter but when I made these I started to long for spring in a bad way,lol. 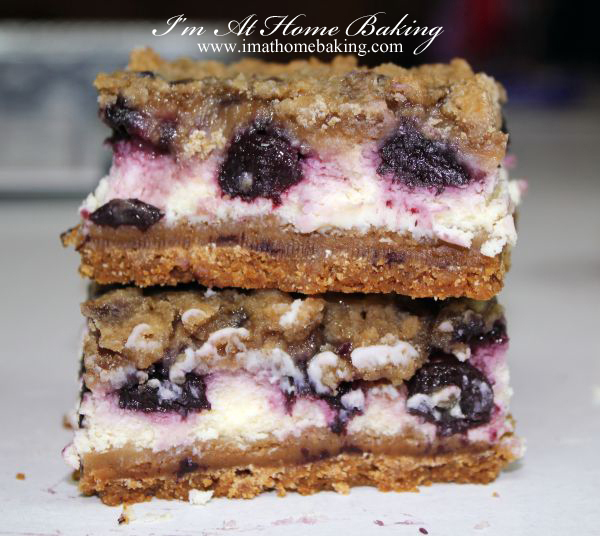 These cheesecake bars are yummy. Buttery, lemony and bursting with blueberries. One thing I would like to say is I found the topping made too much for an 8×8 pan, feel free to use it all but it will changed you baking time by a little bit but delicious no matter what. Heat oven to 325°F. Spray 8- or 9-inch square pan with cooking spray. In food processor, place graham crackers, 2 tablespoons granulated sugar and 1 teaspoon lemon peel. Cover; process with on-and-off pulses until crumbs form. Add melted butter. Cover; process with 3 to 4 pulses until incorporated. Press mixture evenly in bottom of pan. Bake 10 minutes. Cool. Meanwhile, wipe food processor with paper towel. Add cream cheese, eggs, 2 tablespoons lemon peel, the lemon juice and ½ cup granulated sugar. Cover; process until smooth. Pour filling over crust. Top with blueberries. In medium bowl, mix topping ingredients with fork or fingers until crumbly. Sprinkle over filling. Bake 40 to 60 minutes or until topping is lightly browned and center is almost set (center should jiggle only slightly when moved). Cool 1 hour on cooling rack. Refrigerate about 2 hours or until chilled. Cut into 3 rows by 3 rows. Store in refrigerator. Welcome To Day 15 Of Baking With Pumpkin! Today I am tired. Ever have one of those days that has just been a hot mess? Today I feel tired and annoyed. I was under the thought that once we had this holiday party meeting today, I’d feel better about it all. Well, that is not what happened,lol. So there is still stress about this holiday party and centerpieces were voted on today and mine was chosen! While I am happy about this…I can only pray it all runs smoothly,lol. I took this bread into my husbands Command today, it’s where are meetings are for the holiday party and this bread was a huge hit! It is good, really good stuff. 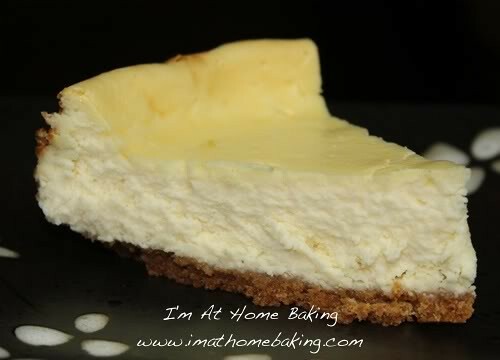 I am thinking when I make it again, I will make a double batch of the cheesecake filling. It is amazing and it needs more of it. 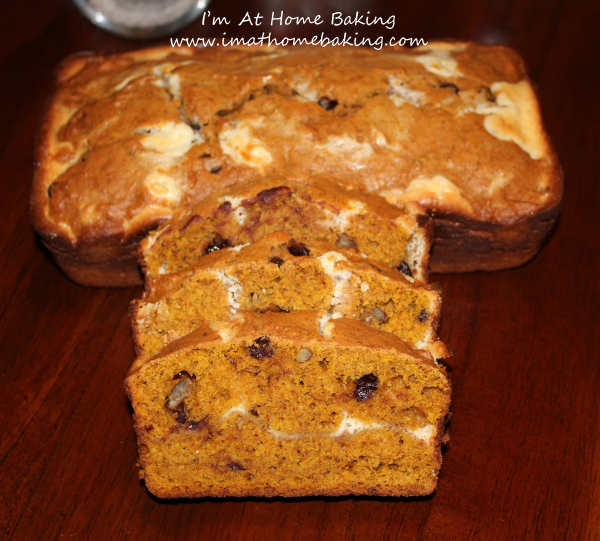 Pumpkin Bread: Preheat the oven to 350 degrees F and place rack in the center of the oven. Butter and lightly flour two - 9 x 5 x 3 inch loaf pans. Cream Cheese Filling: In your food processor or with a hand mixer, process or beat the cream cheese until smooth. Add the sugar and egg and process just until smooth and creamy. Do not over process. Set aside. Pumpkin Bread: In a large bowl, sift or whisk together the flour, baking powder, baking soda, salt, and ground spices. Stir in the chopped nuts and chocolate chips. In another large bowl, whisk the eggs until lightly beaten. Add the sugar and melted butter and whisk to combine. Whisk or stir in the pumpkin, water, and vanilla extract. Add the pumpkin mixture to the flour mixture and stir just until the ingredients are combined and moistened. Do not over mix as it will make the bread tough. Divide the batter in half. Take one half and divide it evenly between the two prepared pans. Divide the cream cheese filling in half and place each half on top the two pans of batter, smoothing the tops. Top with the remaining half of batter (use two spoons to place small dollops of batter on top of the filling). Bake the breads for about 55 - 65 minutes, or until a toothpick inserted into the center of the loaf comes out clean (a few moist crumbs is okay). Happily I’ve been baking more, still racing against time, trying to get in all the baking I can! So far it is still cold, we’ve even had a few days of random snow recently. It is Easter week. Not sure if or what you may celebrate about it but one thing I think most of us can agree upon is, it’s family time! Easter day has always been a huge family day. It’s hard being away from everyone but I am so thankful I am here with Daniel. We recently had an Easter Party and I made these gems! 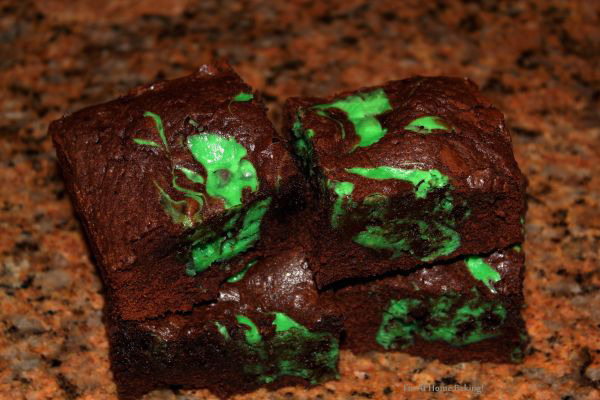 These are amazing and you should make them this week for your family, friends or even just for you! They are even yummy right out of the oven, all warm and gooey. I got nothing but positive feed back and intend on making these again soon! So, what are you making for Easter desserts? Place a liner inside each muffin tin. Mix graham cracker crumbs, 3 tablespoons sugar and melted butter. Place a tablespoon of mixture into each cup and press down flat with a small glass. Place 1 unwrapped miniature Reese's Peanut Butter Cup in the center of each. Beat the cream cheese until nice and fluffy. You could always use light cream cheese but I prefer regular. Add in the sugar, flour and vanilla and continue beating until well combined. Add in the eggs one at time making sure they are well incorporated. Don't over beat! Spoon the cream cheese mixture over the Reese's, evenly dividing the mixture among the 12 cups. I used about ⅛ cup of the mixture for each cup but the original recipe calls for ¼ cup but I found that to be too much. Bake for about 20-25 minutes until the cheesecakes are set. Make sure to watch them good, your oven may take less time! Let your cheesecakes cool. Melt ½ cup Peanut Butter Chips with 1 teaspoon of shortening in the microwave. Use a fork to drizzel mixture over each cheesecake. Do the same thing with the Chocolate Chips. There has only been one time I’ve attempted to make a cheesecake. Yes, really! It was while I was dating the man who is now my husband. I had help making it too as I had never done it before and it seemed very involved. I somehow remember not liking the taste of it myself. So, 10 years pass and I all of a sudden get the desire to attempt another cheesecake. I hate to admit it but we’ve just been buying that boxed, really easy, throw it in the fridge not really a “cake” stuff. It is a taste we both love but I thought it was time to revisit the cheesecake. Was I really missing out on a good thing? Well for one of course all the extra crap that is put into non homemade goodies. I was a bit worried about all the “cracking” while it makes the cake look less pretty, it does not change the taste. So many recipes say all kinds of different stuff about keeping it in the oven to cool, baking it in water, refrigerating it for 7 hours or more before serving. The list goes on. There is no family recipe so I had to just choose and hope it tasted great. I went with a plain cheesecake because I am picky, yup. Plus I did not have anything to throw on top of it. While the whole process was simple, I was unsure of the water bath baking, so this time I skipped doing that. It came out wonderful, even if it did have a few very ugly cracks on top of it. I think next time I will try a few different methods. It also did not want to cut as “pretty” as I had wanted it too, so I have some things to perfect. Do you have a favorite cheesecake recipe? Combine graham cracker crumbs, 3 tablespoons sugar, press into bottom of 9-inch springform pan. Beat cream cheese, 1 cup sugar and vanilla till fluffy. Add eggs, one at a time. Do not over-work eggs. Bake 55 minutes, till the center is almost fully set but has a little jiggle. Turn off oven and let cake cool before removing. Remove rim and refrigerate at least 4 hours. Reduce oven temperature to 300 degrees if using a dark, nonstick springform pan.